A group of industry leaders announces the formation of the Government Wireless Technology & Communications Association (GWTCA), a trade association that officials say is being established to represent the communications needs of government public-service entities. Multiple trade associations and advocacy organizations represent the communications interests of government public-safety and business-industrial entities, but the positions of those groups do not always align with the interests of the non-public-safety government users that GWTCA hopes to represent, according to GWTCA President Chris Lougee. “I’m getting so many good comments back, from other trade associations and from people in the industry who say, ‘This is an open niche. It’s a constituency that hasn’t really had strong representation,’” Lougee said during an interview with IWCE’s Urgent Communications. Alan Tilles, who is serving as GWTCA’s corporate counsel, echoed this sentiment. 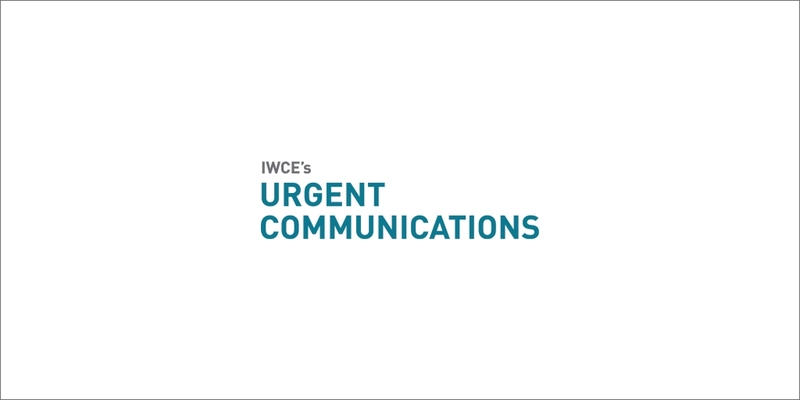 “We have created a nonprofit trade association designed to represent the interests of the public-service community—i.e., folks that are government or semi-government workers but are not public safety—because we feel like this has been a non-neglected segment of the wireless industry,” Tilles said during an interview with IWCE’s Urgent Communications. Lougee and Tilles both emphasized that GWTCA does not plan to compete with existing trade associations but to address the needs of a segment of communications users that has not been met directly before. Lougee said that he believes it is important that GWTCA collaborate with other communications-focused organizations “to see where the interests overlap and where we can work together to come up with positions that serve everybody.